Are you missing the real free VPN apps when you spent much time on search engines or app stores? As you know, we can easily find a VPN provider in a search engine or in an app store, but are you satisfied with the search results? Since more than 92.38% of the users are using Google, so let’s take a look at Google’s search results first. 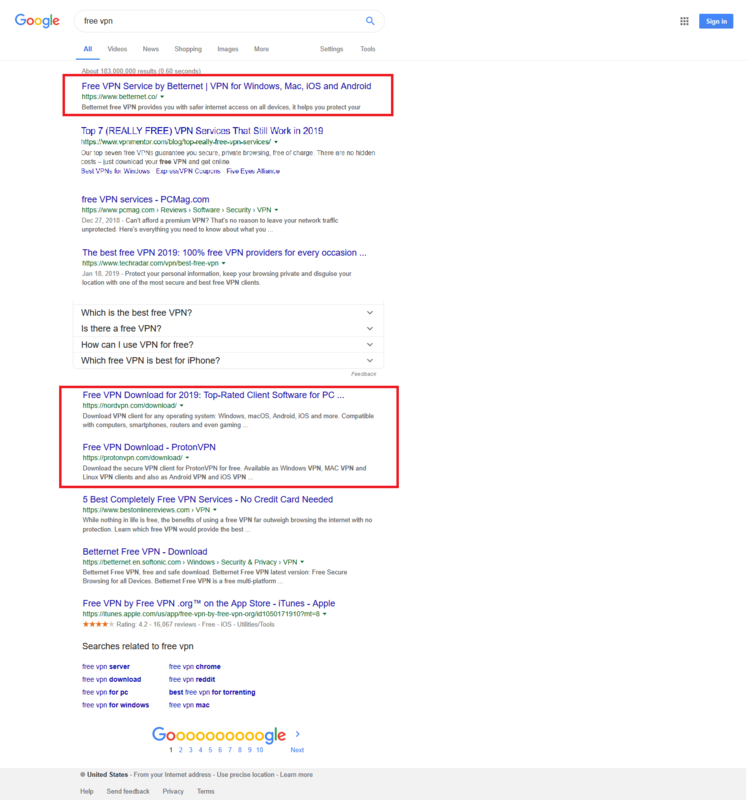 When you search the phrase “free VPN” in Google.com, you will see 3 VPN providers on the first page: BetterNet, NordVPN, and ProtonVPN. The other results are some news and reviews websites. Do these VPN apps 100% free? Let us install the BetterNet on the computer. It provides a feature “Start 7-day trial now”, looks great, right? But when you click it, it will bring you to a page which asks you to fill in your Credit Card number. Now you can see, it is not a totally free VPN app. How about NordVPN? 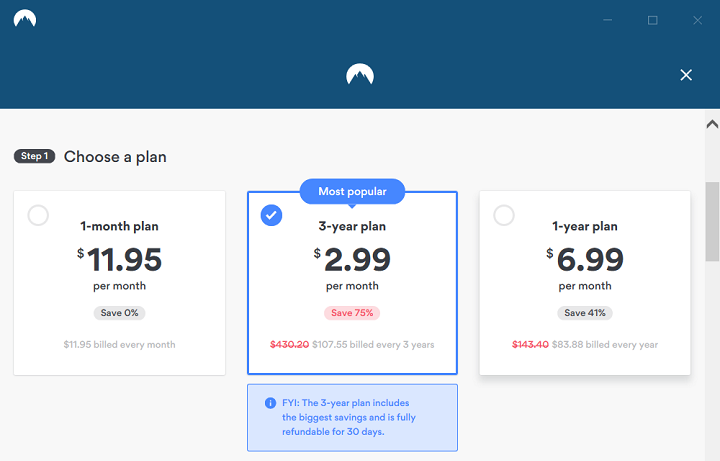 You need to sign in to use it, but when you decide to sign up, a pricing page come to your eyes. So, forget it, it is not free too. 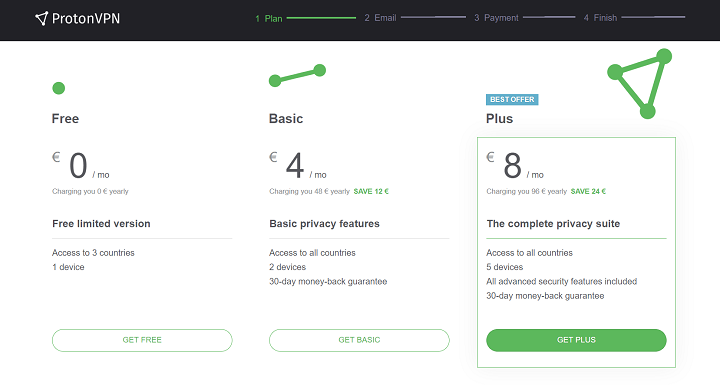 The last one, ProtonVPN. Like NordVPN, you need to register to use it. But it provides free membership, sounds good? But it is also not a 100% free VPN too. Search with the phrase “free VPN” too, the top 3 apps in the results are FreeVPN, VPN360, and X-VPN. Let’s test FreeVPN first. You won’t be able to connect immediately. You have to watch a video, otherwise, you will need to purchase a premium account. Is it the free app you want? Both VPN 360 and X-VPN are paid VPN. When you open the app, they will ask you to purchase too. The top 3 apps in the results are FreeVPN, HotspotVPN, and TurboVPN. Like the VPN apps in App Store, they look free, but they also have some in-app-purchase feature. Over the years, VPN service has become a very popular tool for accessing all website and protecting privacy. The VPN app allows you to hide your IP address, secure your Wi-Fi hotspot and enjoy all your favorite content anywhere. Are you wondering what the totally free VPN is? For example, people have been using “UFO VPN” app to unlock the world. UFO VPN is trialing a free-to-use model for Android devices. 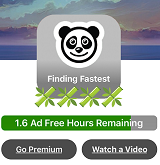 To make sure that UFO VPN can provide a long-term service, they will show some Ads in the app. By offering app ads and videos, every time you click an ad or watch a video, you help UFO VPN earn money. Besides the free model, UFO VPN also provides a premium VPN service called UFO VPN Pro which is ad-free.